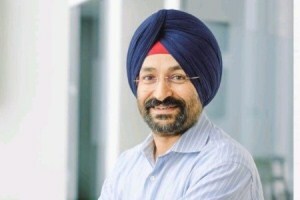 Ericsson has been selected by Bharti Airtel (Airtel), India’s telecommunications services provider, to expand its VoLTE (voice over LTE) services in India. This agreement will result in deployment of the Ericsson Cloud VoLTE solution, an industrialised solution to deliver VoLTE services onto a customer data centre. The solution enables high-definition voice (HD voice) and provides modern communication services experiences across many types of devices, over LTE, Wi-Fi, and future 5G access. As per the June 2018 Ericsson Mobility Report, India is expected to have more than 780 million VoLTE subscriptions by 2023. VoLTE technology will also be the foundation for enabling 5G voice calls on different types of 5G devices. Ericsson Cloud VoLTE is an industrialised solution to deliver VoLTE services onto a customer datacentre cloud. The solution includes a complete virtual IP Multimedia Subsystem (IMS) and supporting nodes to add VoLTE service to an existing LTE data network, and serves as a foundation to evolve and expand voice and other communication services. It includes pre-integrated and validated design, a trained central delivery team, and delivery assets to ensure a fast, accurate, and optimised solution delivery.